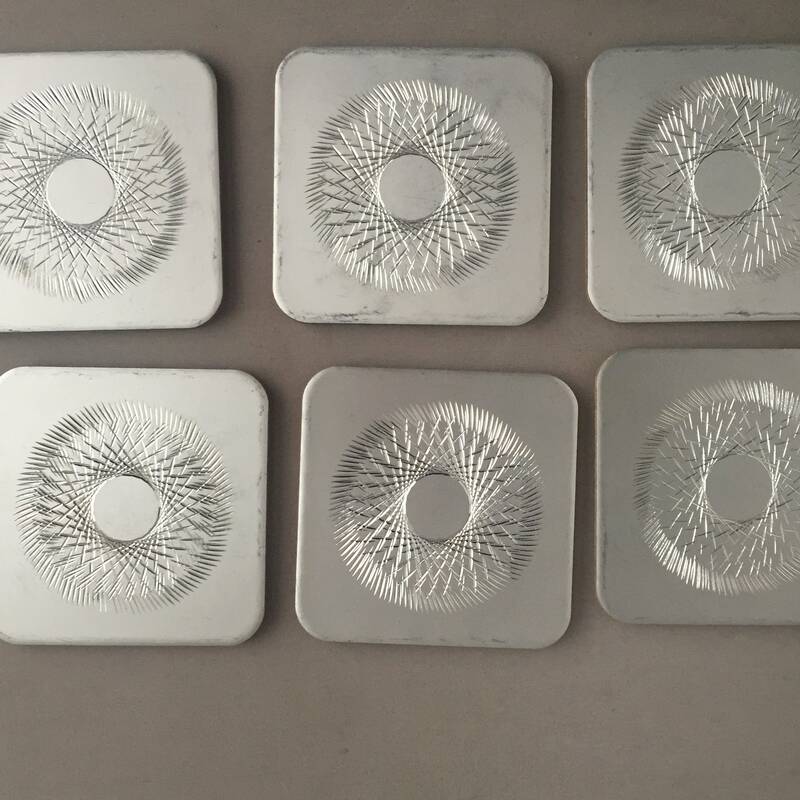 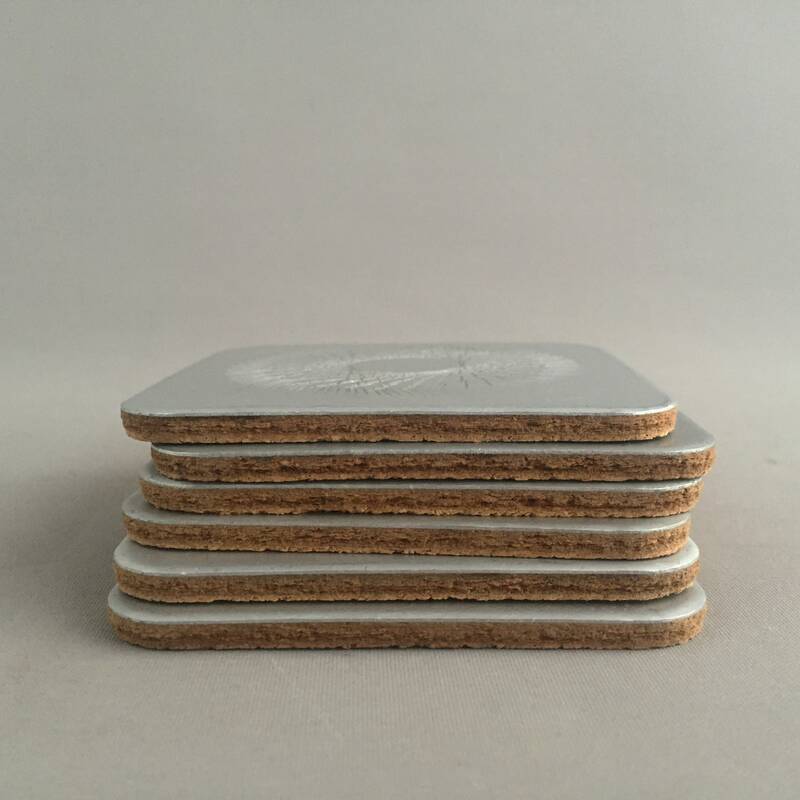 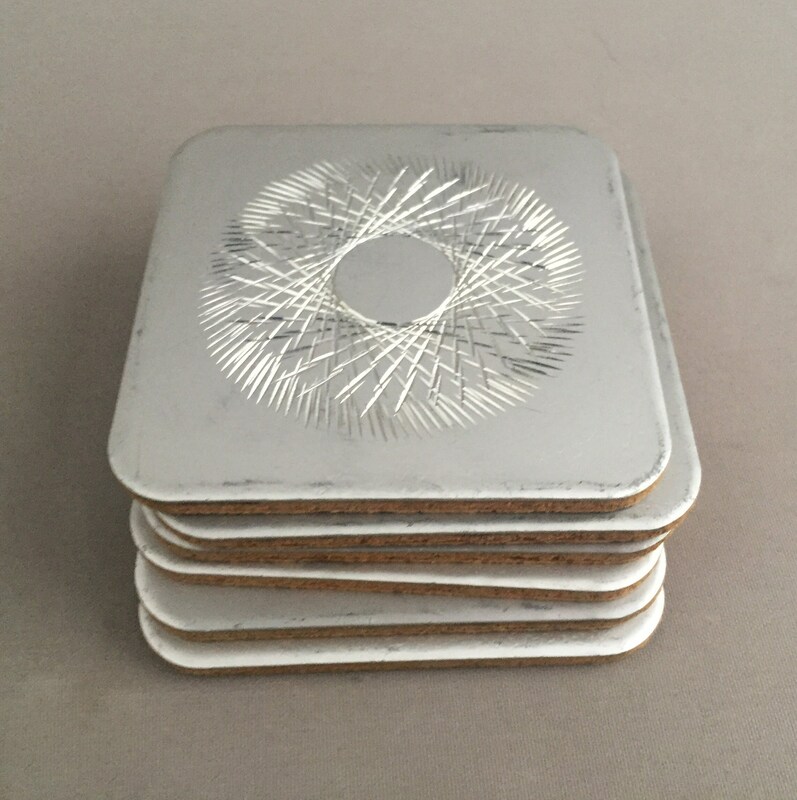 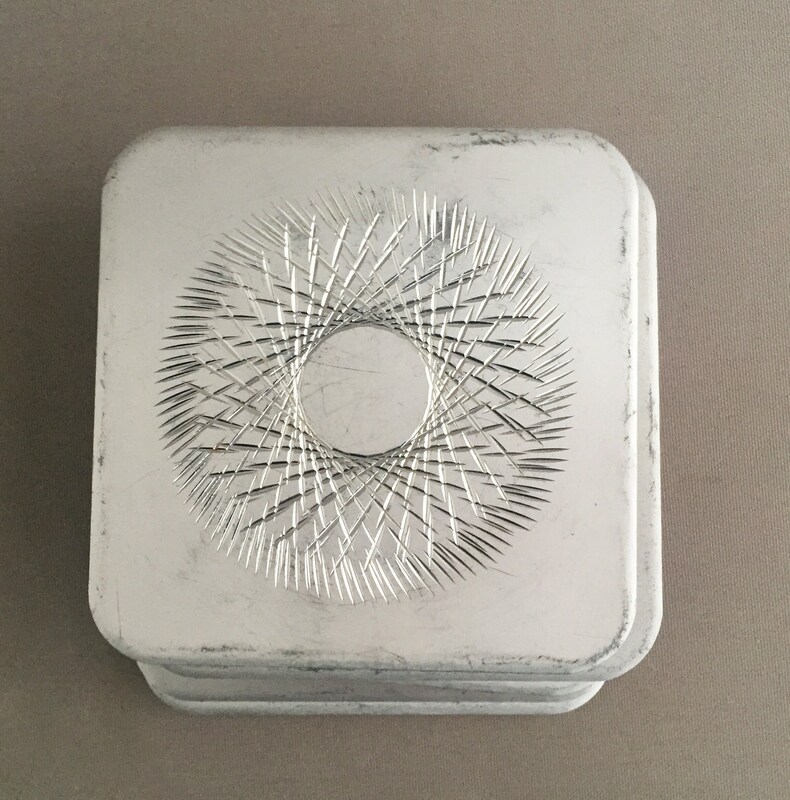 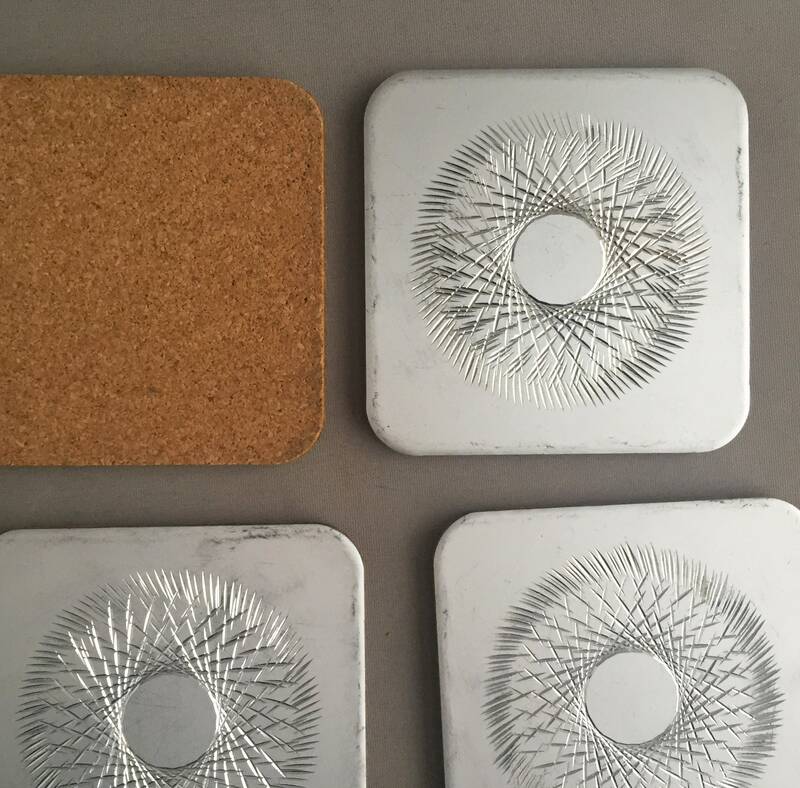 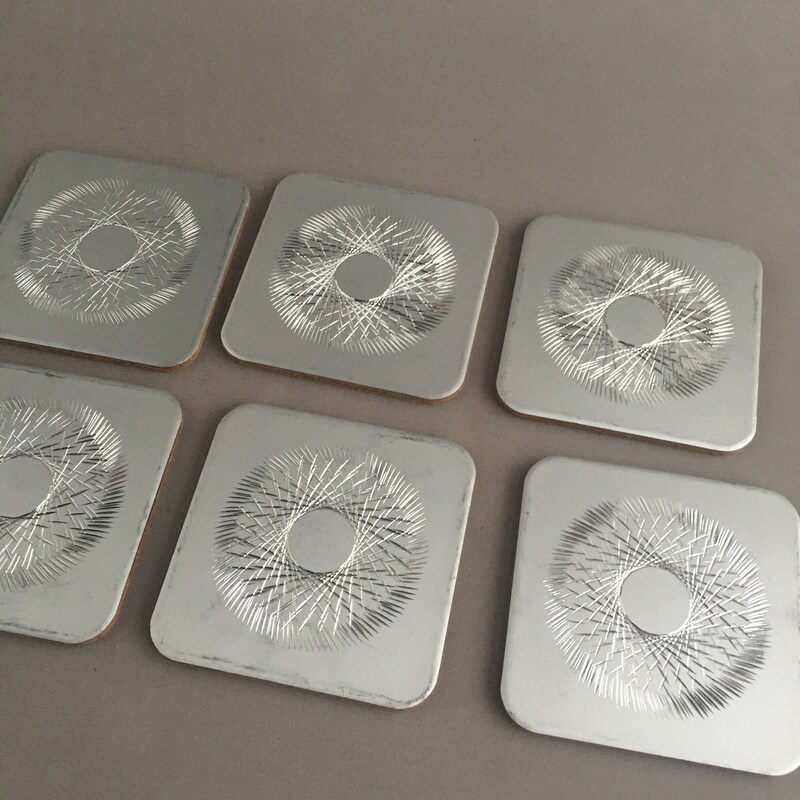 A very stylish set of 6 Conrah coasters. 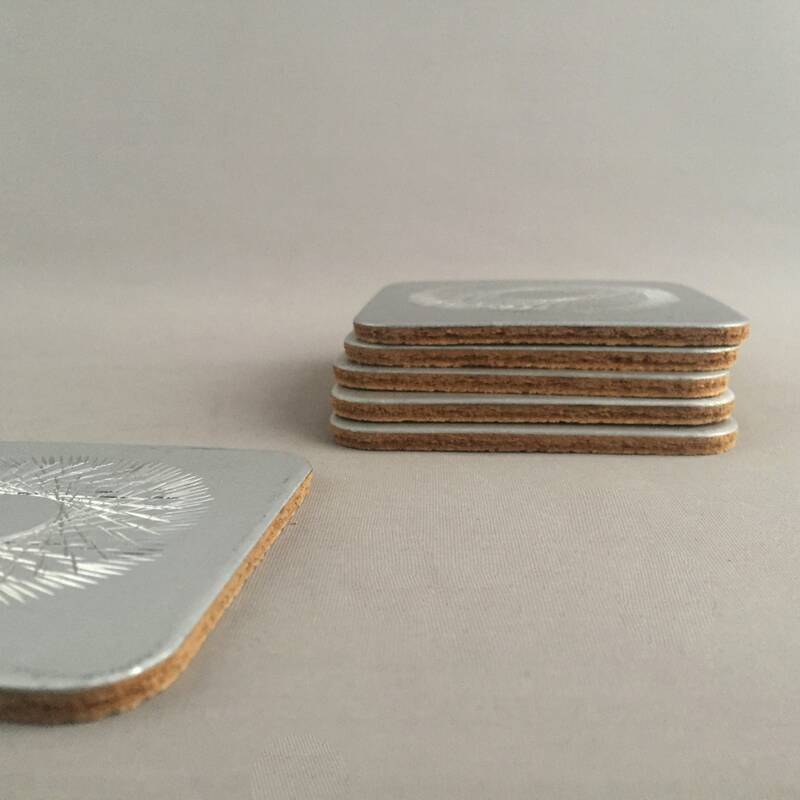 Etched Anodised Aluminium backed with cork. 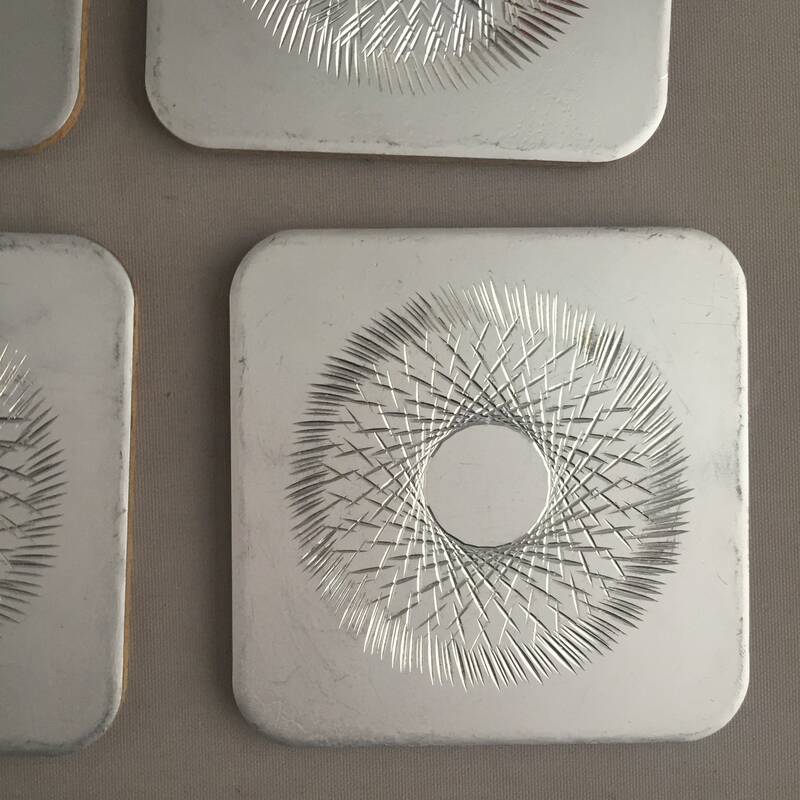 ( Conrah ware was designed by Ronald Hughes in 1967 and produced in Wales during the seventies.